In the first place, having an internet connection trouble is a waste of time in every online activity especially if you have a business. Maintaining a strong internet connection at home or even in the office is as important as food for human beings. It is a fact that the internet makes your tasks convenient, efficient and easier to accomplish. It is also allowing you to save time on things that are also important, resulting in high productivity and efficiency. Getting back to trouble with internet connection, it easily annoys us in every way. Work will stop, production decelerates, and emotions flare up. It gets you frustrated that in the middle of your work or research and you are having a great groove, the internet connection breaks down and to not be able to finish your work. But every trouble has a corresponding solution. Fiber Optic Association Cebu has your back. The first thing you need to do when your connection falls out is to check your router status indicator. If you see no light at all it may be unplugged or powered down. What you must do is disconnect the power cord and reconnect it after a few minutes. Make sure that the power switch is on and if it is still not working, there must be something wrong with your power adapter or in the worst-case scenario, you are having a fried router. 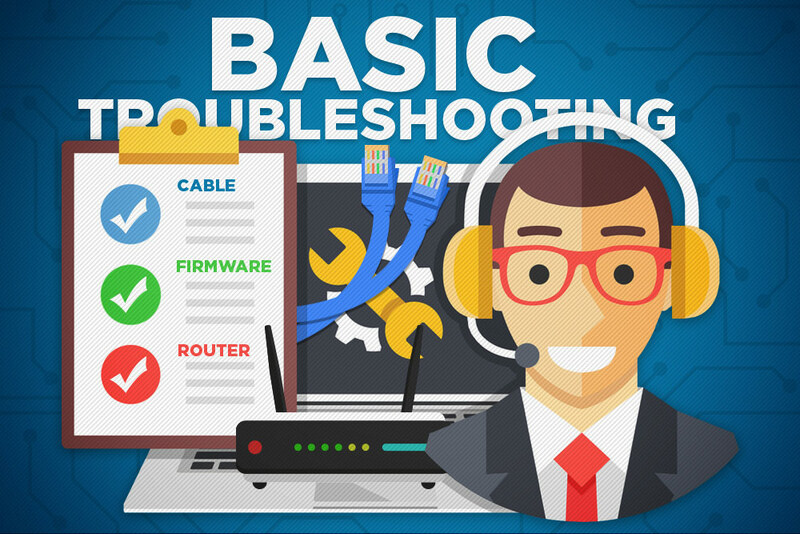 After checking your router and you still don’t have connection, directly resetting or replacing your router is not the next best option. Instead, you should inspect first whether your cable connection coming into your home has no damage. If you notice something not good about the cable connection, try replacing it. If ever you just transferred your router recently to another wall jack, check the wires connected from the wall jack to the router if they are inserted to the right slot correctly. Also check if that wall jack is active or not. The Firmware is an embedded software in a piece of hardware that is installed at the factory on a read-only memory (ROM) chip. It lets your router hardware to establish network and security protocols. And if your firmware is not updated, it can be one of the reasons for the lost connection. What you need to do is to look for the firmware update tool in the system or download a firmware update that can resolve the issue. Follow the proper installation process of the firmware and avoid installing firmware from third-party sites. Again, YOU MUST AVOID THIRD-PARTY SITES. You have already done those things mentioned above and still, your internet connection is down. There must be something bothering your PC. Check if there are spyware, malware, and viruses that are maybe infecting your PC. You won’t even notice that your PC is infected because they are downloaded and installed, and working in the background while you are surfing the web. If you have multiple client devices that need larger bandwidth and your router is an old fashion version, you should upgrade it to a dual-band router that gives you an option which band to use for clients that needs more bandwidth. Also, an updated router means your router is equipped with the latest technology that nurtures efficiency and productivity on speed. If you have tried everything and you still have the problem with your internet connection, then you should call your Internet Service Provider. It could be that your skills are not enough, so you need an expert to fix your problem for you. Better yet, go for fiber optics. Nexus has certified fiber optic technicians ready to assist you from installation to project completion.